MISSOURI PLAIN FOLK, Sikeston, Mo. 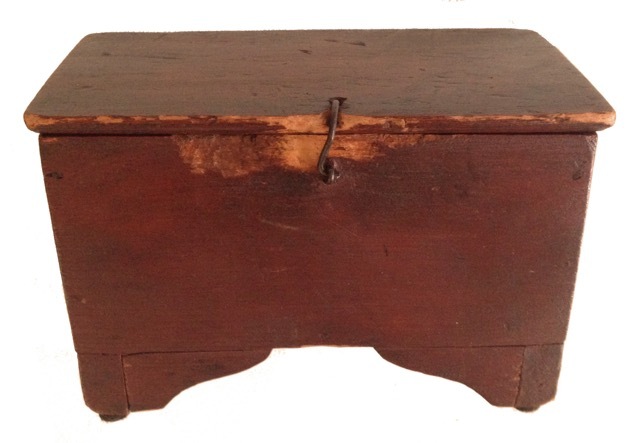 moplainfolk@gmail.com 573-471-6949 Early miniature bracket base blanket box in the original red surface. It has one old repair to the lid and measures 6¼ by 3½ inches, and 4 inches tall.